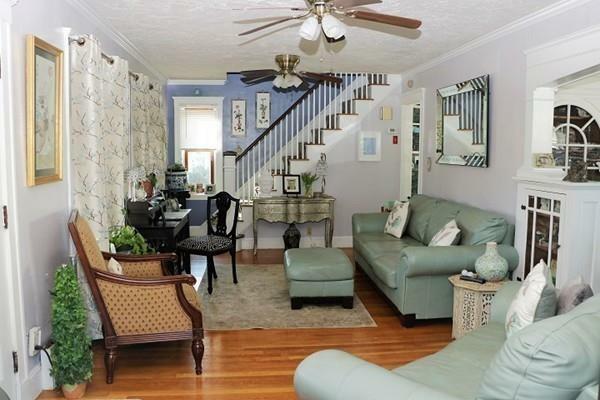 Sun-filled, Colonial located on a corner lot, in sought after desirable Larkin Square. 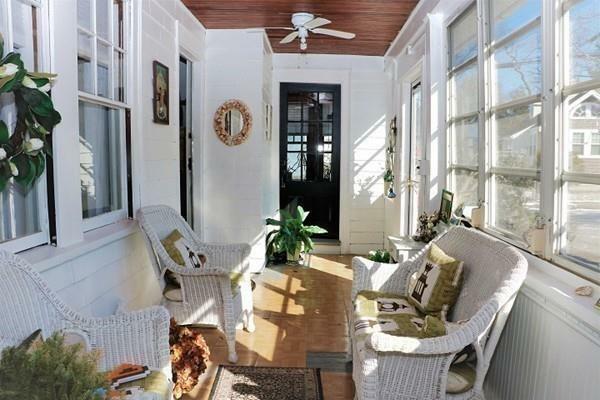 Enjoy the welcoming enclosed front porch. 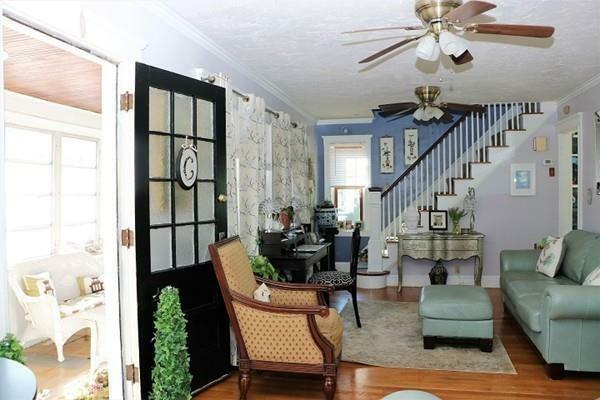 Walk into the sun-filled living room with hardwood flooring and arched woodwork leads you into dining room with built-in china cabinet and slider to back deck with pool. The eat-in kitchen is spacious, with ample white cabinets and counter space which has a mudroom. The den with lots of windows and sunlight completes the first floor. Walk up the stairs to the second floor with four nice sized bedrooms with one of the rooms having the walk up attic stairs. Includes an updated full bathroom, with marble floor and jet tub. The lower level has a large room with recessed lighting and full bathroom plus laundry. 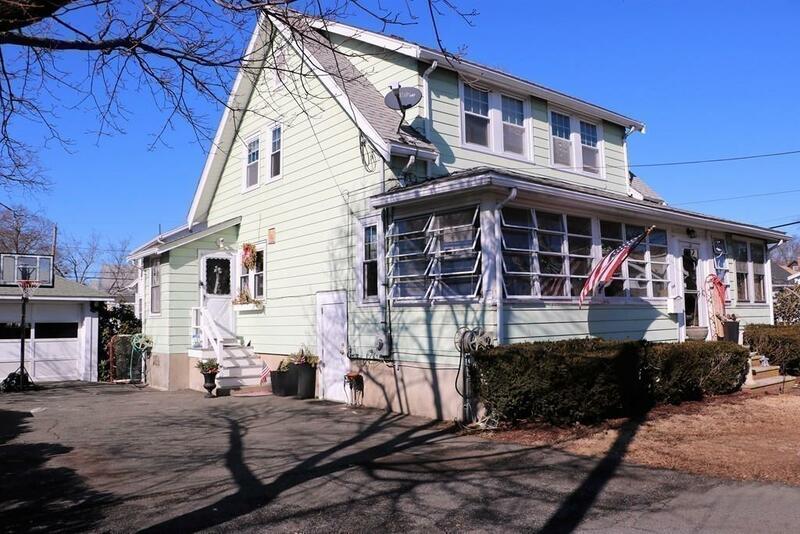 This is a commuter's DREAM easy access to Route 3 and 93, public transportation, MBTA bus to Quincy Center T. Easy walking distance to great East Milton restaurants and the Adams business district. Disclosures Buyer And Buyer's Agent Must Verify All information & Perform Their Own Due Diligence. Buyer To Confirm All Measurements.